Officials in North Maluku rescued more than 80 wild animals from trafficking in the last two months. 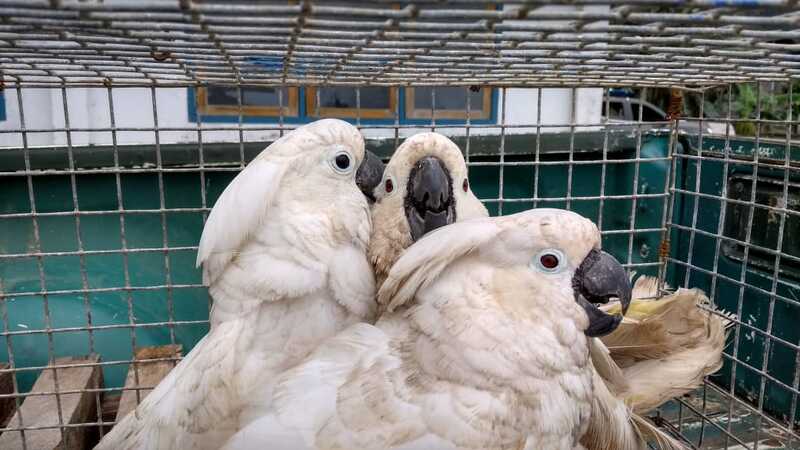 Ternate Nature Conservation Agency seized 3 White Cockatoos from Alpius, an illegal dealer, at Tosoa village, South Ibu, on Friday (1/6). An Eclectus Parrot was also confiscated from a local man at Nanas village, South Ibu. "Alpius started selling parrots in the 90s when some endemic species like the Chattering Lory were still allowed to be captured within government's quota," said Abas Hurasan, S.Hut, lead officer of the patrol. The confiscated White Cockatoo was recently delivered to Alpius by local poacher from around Tosoa village. Alpius paid IDR 100,000 for each parrot, which upon being confiscated still had traces of gum in its feathers. 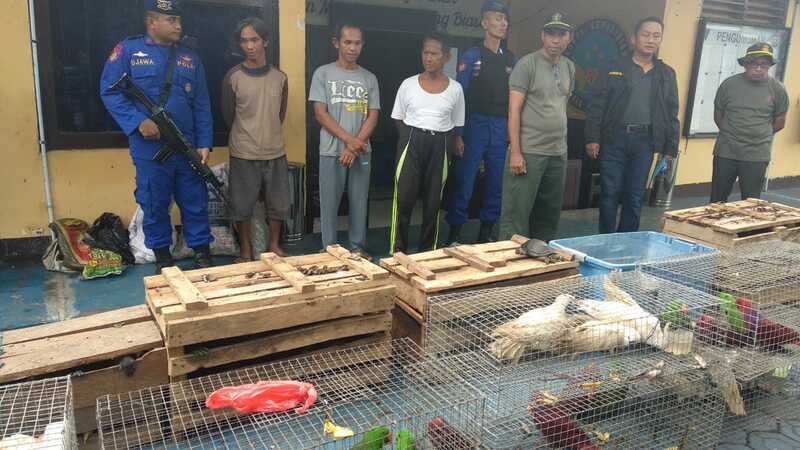 Confiscation of dozens of wild animals also took place in South Halmahera. North Maluku Water Police seized 80 wild animals which was about to be smuggled to Sulawesi. The animals taken were 18 White Cockatoos, 13 Eclectus Parrots (1 died), 28 Crested Black Macaques, and 21 Freshwater Turtles. Further investigation revealed that the birds were captured from Papaceda village, West Gane, while the macaques and turtles came from Kilometer 20, Yaba village, North Bacan. "The smuggling attempt was thwarted at Bori, Bacan Island, South Halmahera on Thursday (31/5) at 22.30 (local time). Water Police team arrested four alleged smugglers AK, YK, NY, and S; all came from Tahuna Island, Sangihe, North Sulawesi. Their plan was to transport these animals to the Philippines," explained Kombes Pol Arief Budi Winofa during a press conference on Saturday (2//6) at the headquarters of North Maluku Water Police. Abas Hurasan added that following the construction of Trans Halmahera highway, access to illegal parrot trade in West Halmahera has become easier. North Maluku conservation agency has been elevating their patrol frequency to cover all possible smuggling routes in West Halmahera. During the joint patrol, Ternate Nature Conservation Agency and PROFAUNA also installed anti parrot poaching and exploitation banners at Jailolo Speedboat Dock, Tongute Ternate Junction at Ibu district, and Sidangoli Ferry Dock. 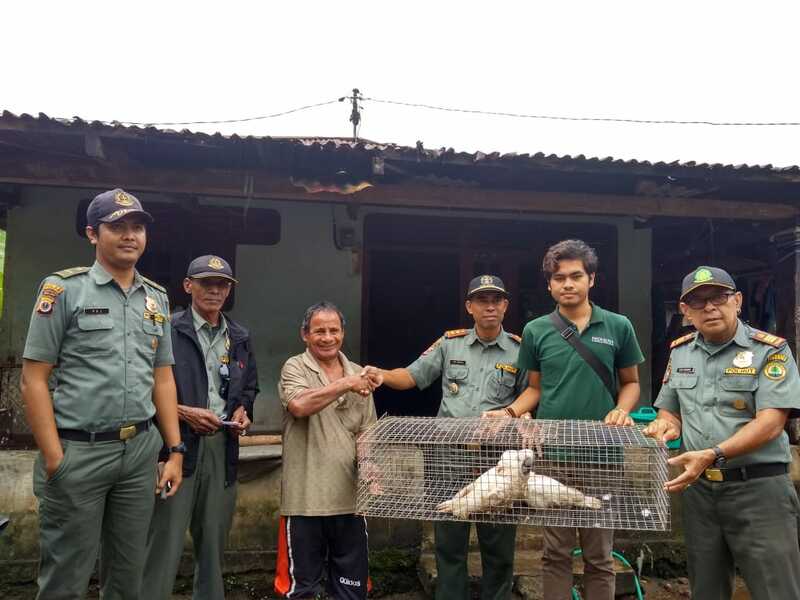 "We hope that local people could have better understanding about the state of our endemic birds, or even take active part in curbing the rate of parrot poaching and trade in North Maluku," concluded Afrizal Abdi, field coordinator of PROFAUNA North Maluku.